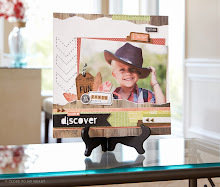 Stamp Happy: Just Have Some Fun! Here's one of the cards we'll be making at card class this month. It was designed by Lalia Harris. She's so talented! If you were to look down at the card from the top, it folds like a "Z". I love how cute it is, and there's still room to write a message. If you want to make this fun card - come to a class this month! January 18,19, 24 or 25 (times vary, check my "Monthly Classes and Workshops" tab at the top of my blog). If you just want to buy the supplies to make this card - click here to start shopping. Plus, there's always some great "While Supplies Last" items. Don't forget to check it out..
Don't forget to have a sunny day!